1. 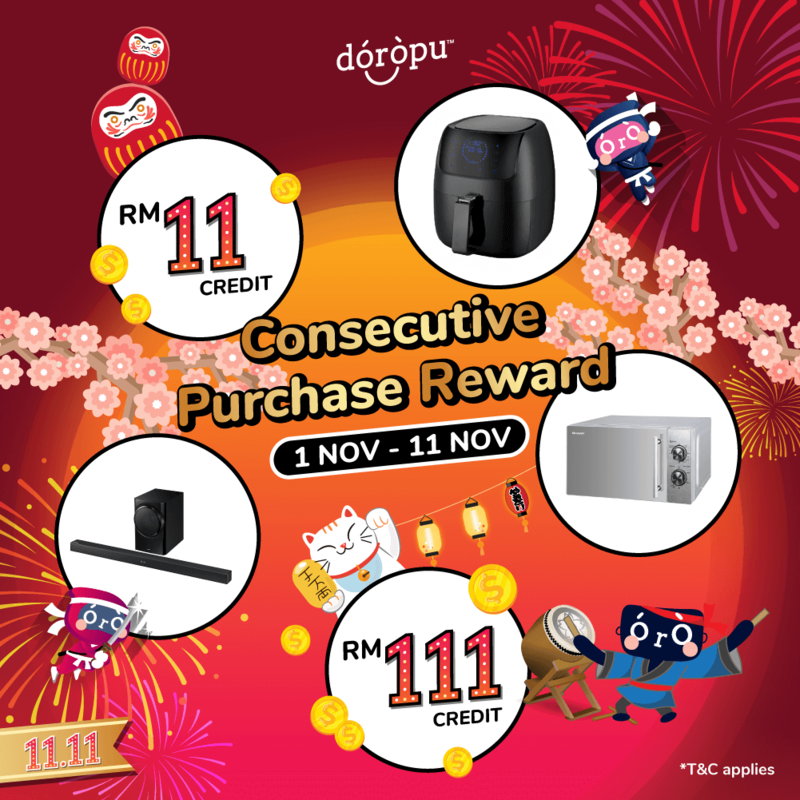 Be the first 200th user to deposit the minimum amount of RM15 with promo code [ DOROPU1 ] starting from 12/11/2018 to 15/12/2018. 2. After entering the promo code, tap Verify. After promo code successfully verified, you may proceed top up via preferred payment method. 3. The redeem option will appear at “Deposit > Redeem” column after successful top up. Participation in the Doropu “Top Up Reward” campaign constitutes the participant’s full and unconditional agreement to and acceptance of these Terms & Conditions. Doropu reserves the right to amend the Terms & Conditions at its sole discretion without prior notice. In the event of dispute, Doropu reserves the right to make the final decision. This campaign is open to all Malaysian citizens residing in Malaysia age 18 years old and above. Participants below the age of 18 years old are required to seek parental or guardian consent. Valid for all users via Doropu app only. Each person is entitled to redeem only one voucher once. 1. Be the First to Eleventh to place an order at Doropu during the campaign period. 2. Send us a screenshot showing your username as one of the 1st to 11th buyer through Facebook within 24 hours to redeem the prize. 3. Credits will be added to your Doropu account once you’ve met our “How to join” & T&Cs. Participation in the Doropu “1st to 11th” campaign constitutes the participant’s full and unconditional agreement to and acceptance of these Terms & Conditions. Doropu reserves the right to amend the Terms & Conditions at its sole discretion without prior notice. In the event of dispute, Doropu reserves the right to make the final decision. Each person is entitled to win only once a day. All winners are required to provide their Doropu username,email & address to Doropu. 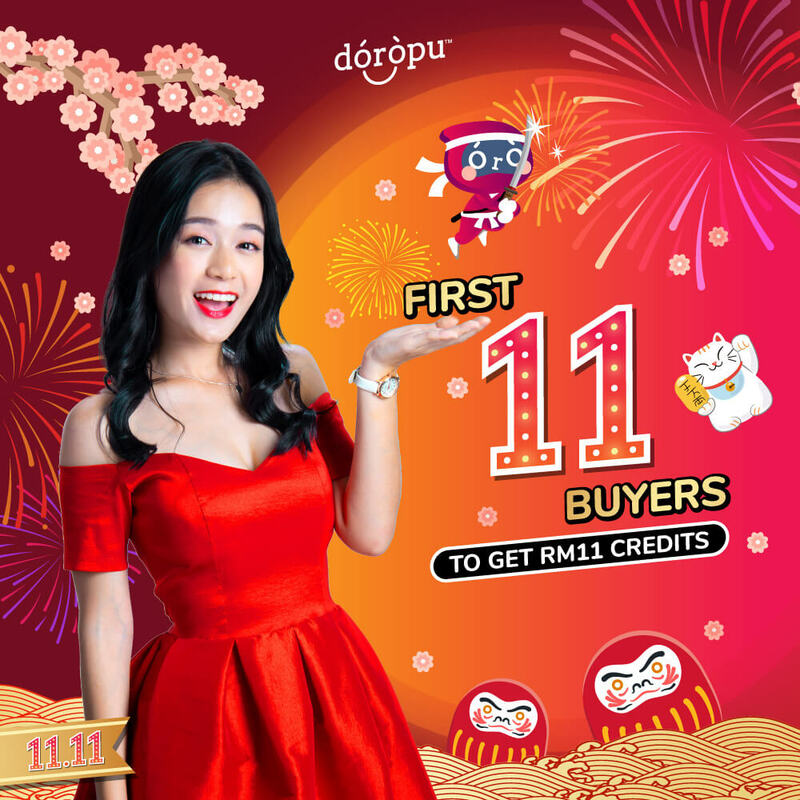 RM11.00 credits will be credited to the given Doropu account. 1. Place total of 11 orders consecutively (one per day) from 1/11/2018 to 11/11/2018 at Doropu to be eligible for the lucky draw. 3. Prizes will be shipped to the winners’ delivery address once they’ve met our “How to join” & T&Cs. Participation in the Doropu “Consecutive Buyer Reward” campaign constitutes the participant’s full and unconditional agreement to and acceptance of these Terms & Conditions. Doropu reserves the right to amend the Terms & Conditions at its sole discretion without prior notice. In the event of dispute, Doropu reserves the right to make the final decision. All winners are required to provide their Doropu username, email & delivery address to Doropu. The prizes are NOT exchangeable for cash / another prize. The prizes are NOT refundable. 1. Be the first 100th new user to deposit the minimum amount of RM20 with promo code [ 11DRP5 ] starting from 1/11/2018 to 11/11/2018. Guess Tomorrow’s Product post will be starting from 01/11/2018 and ends 09/11/2018. Random winner with the exact answer wins ! Winner will be announced at the comment section below. If you are announced as one of the lucky winners, message us your Doropu username & email within 24 hours of the announcement to claim your prize. 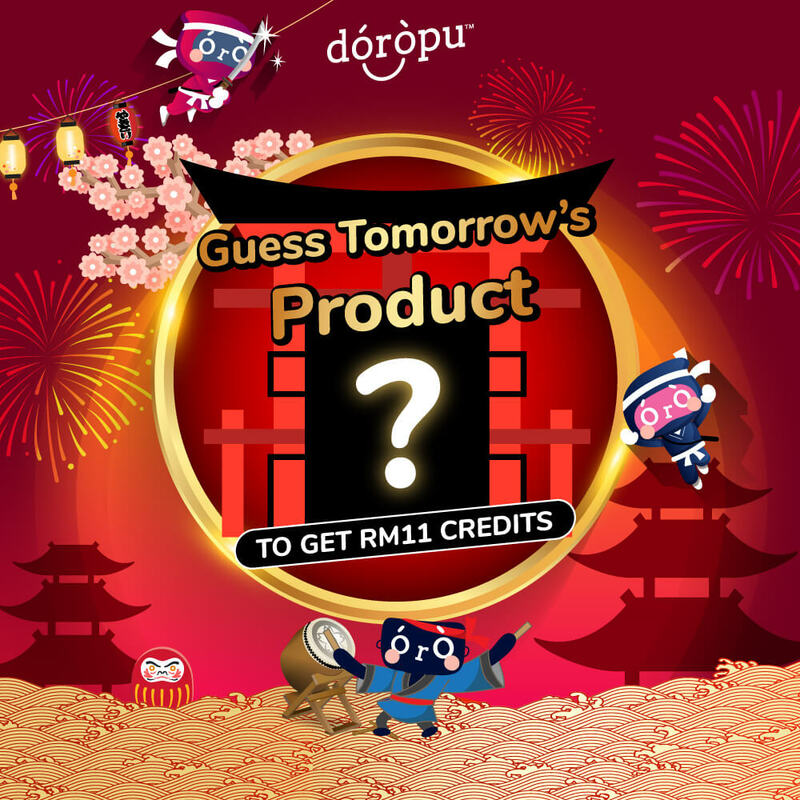 Participation in the Doropu “Guess Tomorrow’s Product” Giveaway constitutes the participant’s full and unconditional agreement to and acceptance of these Terms & Conditions. Doropu reserves the right to amend the Terms & Conditions at its sole discretion without prior notice. In the event of dispute, Doropu reserves the right to make the final decision. No Winners will be announced if all the answers is not accurate. Not valid if users comment more than 3 times or edited comment. Not valid if users have redeemed the prize within this campaign period. Management reserves the right to pick random winners when there are more than 1 correct answer. All winners are required to provide their Doropu username/email to Doropu. Participants must sign up at Doropu to redeem the prize.